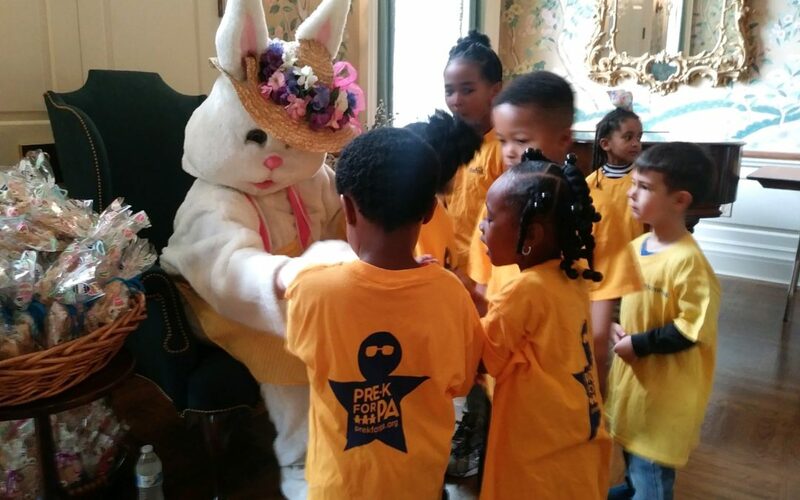 Harrisburg, PA (April 15, 2019) – Governor Tom Wolf and First Lady Frances Wolf today hosted pre-school classes from across the commonwealth at the annual Easter Egg Event at the Governor’s Residence. The event was co-sponsored by Pre-K for PA, a non-partisan advocacy group that supports the expansion of publicly funded pre-k. Over 100 pre-school aged children participated. In his 2019-20 budget, Governor Wolf proposed an additional $50 million to support high-quality pre-k programs in the commonwealth. With $115 million in funding increases secured over the past four years, this additional investment will more than double the funding for Pre-K Counts programs since 2014-15 and increase funding for Head Start Supplemental Assistance by 77 percent. Governor Wolf’s budget also leverages $15 million in federal funding to expand high-quality childcare programs to nearly 1,000 Pennsylvania infants and toddlers. It also includes a $5 million investment for evidence-based home visiting programs, to serve an additional 800 vulnerable families.